Months before the new British Prince George made his earthly debut in late July 2013, the Rhode Island PBS program director scheduled a two-part portrait of his great-grandmother's grandparents (his great-great-great grandparents) - and the ancestor for whom the little prince was named, it turns out. King George and Queen Mary: The Royals Who Rescued the Monarchy examines the lasting legacy of the couple who rescued the monarchy from potential disaster. Rhode Island PBS presents this two-part documentary on August 8 and 15 at 9 p.m. Episode 1 (August 8 at 9 p.m.) focuses on King George V. George could not have been a more unlikely modernizer. Born and brought up in the Victorian age he was conservative to his fingertips. yet in the face of unstoppable social change after the First World War he turned out to be a remarkable innovator, creating the House of Windsor, embracing democratic reform, and reinventing many of the royal traditions that we know today. When he celebrated his silver jubilee in 1935 the monarchy was more popular than ever. 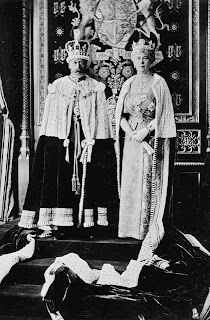 But as a parent King George V was far less successful - he bullied his children and alienated his eldest son and heir, Prince Edward. As one courtier remarked at the time, ‘the royal family are like ducks, they sit on their children’. By contrast, King George had a loving relationship with his granddaughter, and much of Queen Elizabeth’s style and commitment to duty can be traced back to this early influence. A long-form preview of this first episode is below. Episode 2 (August 15 at 9 p.m.) focuses on Queen Mary, who came from a relatively humble royal background, but was picked as a future queen consort by Queen Victoria. At first she was betrothed to Prince Eddy, heir to the throne. But when Eddy died during the influenza pandemic of 1891-92, she was unceremoniously passed to his brother George. 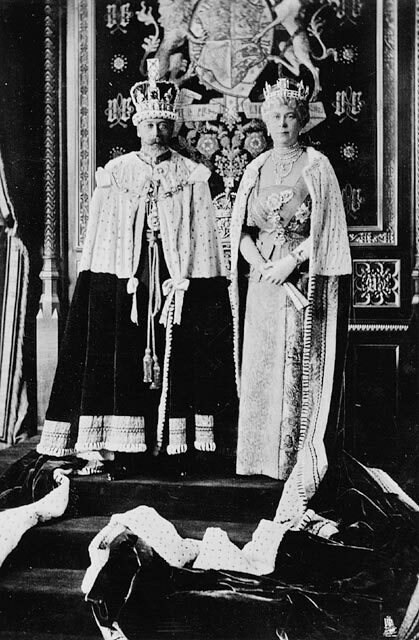 Despite the arranged marriage, King George and Queen Mary had a loving relationship. Mary revered the monarchy and obeyed her husband in all things - even the length of her dresses. She always put duty and service first. But when King George died in 1936, this once rigidly formal character emerged as a determined if eccentric royal matriarch with a mind of her own. When the abdication crisis threatened the future of the House of Windsor she was the rock to which the nation turned as a symbol of stability and continuity. Queen Mary died in 1953, having lived to see her granddaughter, Elizabeth, ascend to the throne, but not her coronation. In August 2013, Rhode Island PBS presents the five-part "Secrets of..." series, a look inside four of the most beautiful manor houses in the English countryside, as well as the occupants of these magnificent houses. Secrets of Chatsworth - August 8 at 8 p.m. and August 22 at 9 p.m.
Over five centuries, Chatsworth Estate has been passed down through 16 generations of the Cavendish family and is presently the home of the current 12th Duke of Devonshire and his family. 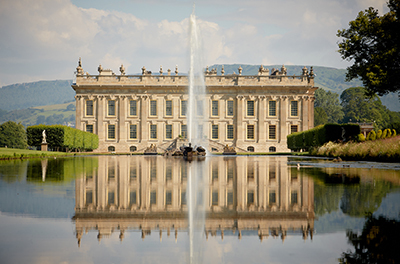 We discover the stories throughout its 500 years that have shaped the history of Chatsworth into the acclaimed and distinguished house it has become today. So rich are some of the tales, they have even caught the imagination of Hollywood: The Duchess was the story of Lady Georgiana Spencer and her ill-fated marriage to the the 5th Duke. Although their marriage was a great dynastic match, their personalities were entirely unsuited and they lived together with Lady Elizabeth Foster, Georgiana's close friend in a ménage à trois. Chatsworth even links to American President John F. Kennedy, who came to visit his sister Kathleen Kennedy after she was tragically killed in a plane crash and buried on the grounds of Chatsworth. Kathleen was married to Billy Cavendish, son and heir to the 10th Duke of Devonshire. So how does it really feel to live and work in such an opulent house with so much colorful history? Viewers take a look behind the doors of the house and stroll around the vast gardens and estate, talking to the Duke and Duchess to find out the real truth behind Chatsworth. 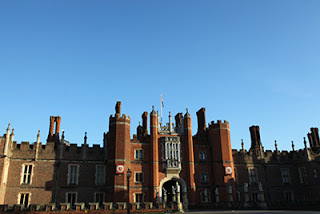 Secrets of Henry VIII's Palace - August 15 at 8 p.m. 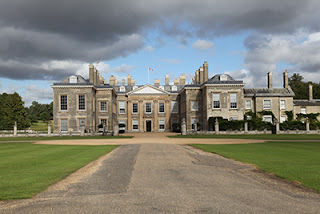 Secrets of Althorp: The Spencers - August 22 at 8 p.m. 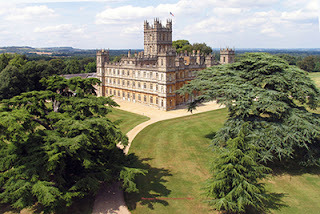 Secrets of Highclere Castle - August 29 at 8 p.m. Famous as the location backdrop to the hugely-popular costume drama Downton Abbey, the castle also has its own extraordinary tales to tell. Today, the castle remains the family home of Lord and Lady Carnarvon. At around a million dollars a year in upkeep, the life of the English nobility is no longer one of extravagant parties and opulence. Secrets of Highclere Castle gives a privileged, behind-the-scenes taste of what it is like to be a modern-day Lord and Lady living in a home with 1,300 years of English history. Secrets of the Manor House - August 29 at 9 p.m.
Are state tax incentives really worth it? Here is the list of air dates and times for the upcoming The Hummel Spotlight, Food Rescue. Sat 7/20/2013 at 9:50 p.m.
Mon 7/22/2013 at 2:19 a.m.
Mon 7/22/2013 at 10:47 p.m. Wed 7/24/2013 at 9:50 p.m.
Thu 7/25/2013 at 1:53 a.m.
Mentally revisiting the bone chill of winter sure feels good during a heat wave, doesn't it? Oh, we'll wish soon enough we could have somehow saved up this heat when those winter winds start howling, but at least right now, a little frost in the air would be welcome. 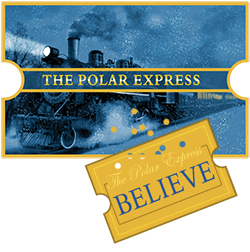 So, plan ahead and get your tickets now for a ride aboard the Polar Express in November. The Cape Cod Railway has partnered with Rhode Island PBS to bring you a magical tour to start off your Christmas season in memorable style, and as thanks for being a member. It's hot. In the Rhode Island PBS viewing area, we have the Ocean State (Rhode Island), the Bay State (Massachusetts), and the Constitution State (Connecticut), which, to force-fit into the theme I'm trying to create here, unless you pay attention to staying cool, you can really mess up your constitution. 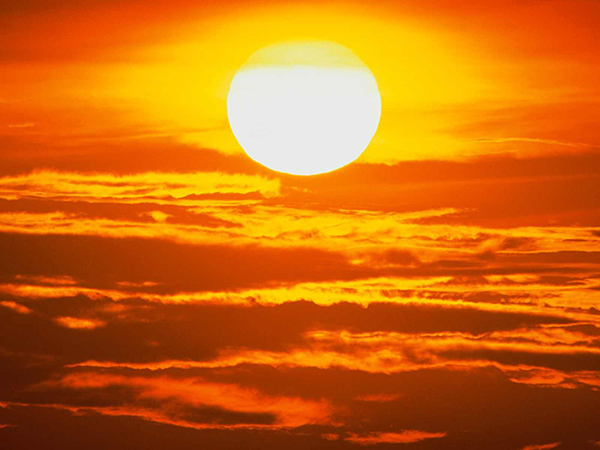 Stay indoors as much as possible and limit your exposure to sun. Sunburn makes the job of heat dissipation that much more difficult. Stay on the lowest floor, out of the sunshine, if air conditioning is not available. Consider spending the warmest part of the day in air conditioned public buildings such as libraries, movie theaters, shopping malls, and other community facilities. Eat regular, light, well-balanced meals and limit your intake of alcoholic beverages. Foods like meats and other proteins increase metabolic heat production and also increase water loss. Drink plenty of water, even if you don't feel thirsty. Your body needs water to keep cool. Avoid alcohol and caffeine, as they can make you lose water. People who have epilepsy or heart, kidney or liver disease, are on fluid-restricted diets, or have a problem with fluid retention should consult a doctor before increasing liquid intake. Dress in loose-fitting, lightweight and light-colored clothing that covers as much skin as possible. These garments reflect heat and sunlight, and help your body maintain normal temperatures. Avoid strenuous work during the warmest part of the day. Use the buddy system when working in extreme heat, and take frequent breaks. Sunburn - Redness and pain. In severe cases swelling of skin, blisters, fever and headaches. 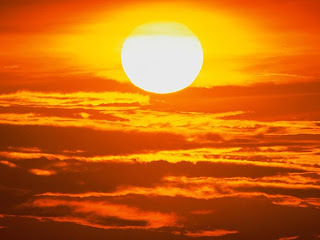 Heat or Sun Stroke - A life-threatening condition. The victim's temperature control system, which produces sweating to cool the body, stops working. The body temperature can rise so high (106 or higher) that brain damage and death may result if the body is not cooled quickly. And if it's too hot work in the garden or bake in the kitchen or repair those windows, you can still collect recipes and tips for days with cooler temperatures by watching your favorite gardening, cooking, home repair and travel shows midday on Rhode Island PBS. The General Assembly process: are bills properly vetted? Select legislation for Electric Boat?